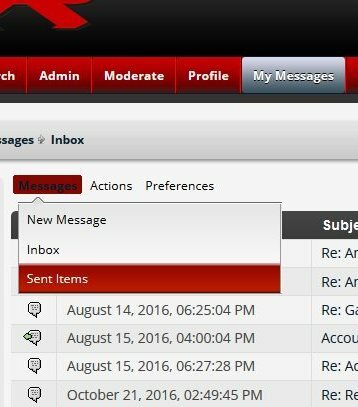 Can someone tell me how to view sent personal messages? If I go to "My Messages" I can only see received messages, and even those are not in a conversation history. I've got several conversations on going and cannot tell which reply I sent to which message. For "Sent Items" see image below. 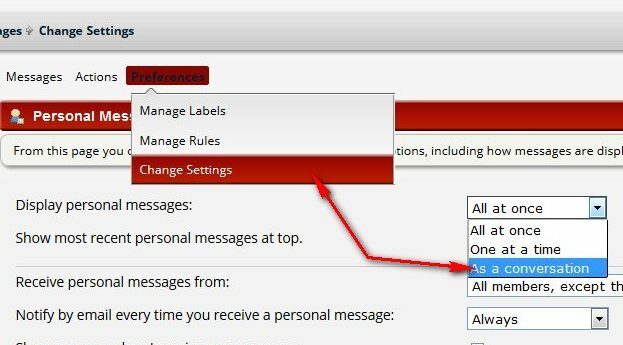 For "PM Settings" see image below.